Home > Blog > Summer Offer 13 March 2015. 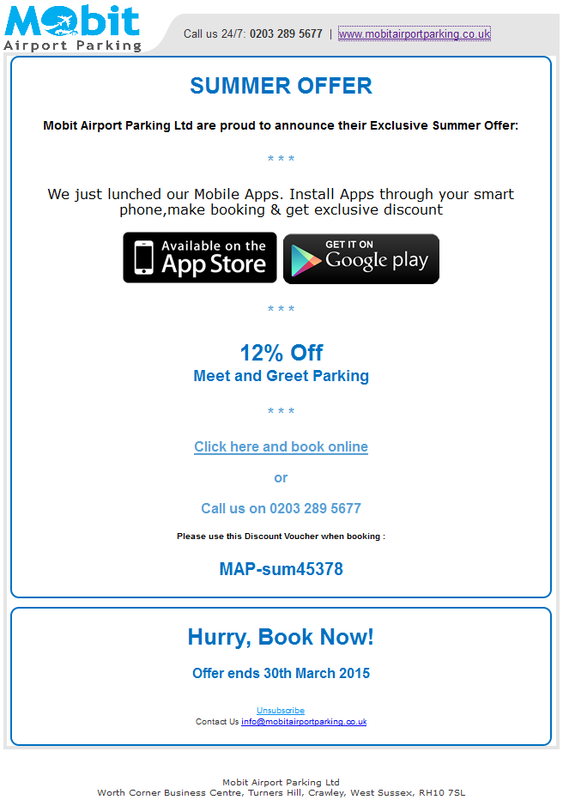 Summer Offer 13 March 2015. Previous PostCOMMERCIAL TENDER PROGRAM FOR LUTON AIRPORT.Next PostSurvey about customers’ satisfaction regarding Meet & Greet Parking.